Husband and I are both self-employed and, therefore, pay our own taxes (as opposed to having taxes withheld from our paycheck). We file “married filing jointly” and I knew that for 2014 we’d be teetering between two tax brackets: between paying 15% and 25%. (Side note: Doesn’t that seem like a huge jump? I don’t want to get political or anything, but the next bracket goes from 25% to 28%, which seems more reasonable. But the 15% to 25% jump hurts! Ouch!). As a result, the amount we paid for estimated quarterly taxes varied (I typically paid about 20ish percent of our income). Well, go figure, that wasn’t enough. And now we’re left with a pretty hefty sized tax bill. So that’s fun. And something we’ll be dealing with in the coming months. I’ve never had taxes be part of the blog before (I’ve always reported our income “after taxes” – said in quotations, since clearly we weren’t withholding enough for taxes). 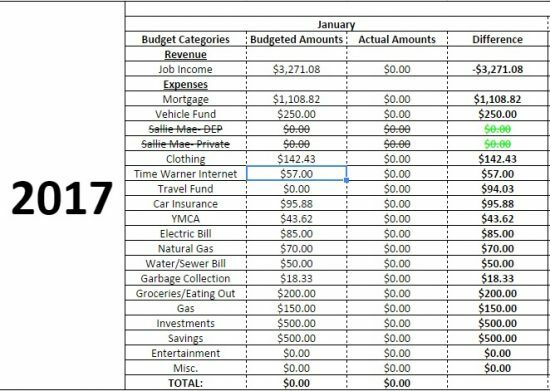 So, although our tax bill is obviously a new debt, I’m going to keep going how I have been and simply pay that bill off the top of our income rather than putting a new line item (titled taxes) in our monthly debt list. The big bummer, of course, is that I’ve been crossing my fingers for a pretty profitable next couple of months as income increases a bit. It’s not a guarantee, but last year hubs’ business was booming over the summer. And although I continue to get paid the same as always (same amount per class), the classes I teach over summer are condensed so instead of having my pay spread across four different months I get two lump sums, making two summer months (June and July) look really good for income. (Again – same actual pay per class, but it’s double the sized paycheck as during the Fall or Spring semesters). I still hope to make some big progress with other debts, but this is certainly a bit of a setback as we pay back Uncle Sam to the tune of $3500. Yes. *Groan!!!! * We’ve owed before (we owed a little bit last year), but never to the extent of owing multiple thousands of dollars. I do have a plan though. I’ve already set aside some money from this month’s income that I’m going to put toward taxes. If I spread this out over three months, the hit won’t be as hard. We have about that amount of time to pay (longer if we pay additional penalties, but I’d like to avoid that and just pay this off ASAP), so about a thousand a month is going to be coming off the top of our income for the next few months. Disperse the pain a bit instead of being hit all at once. Did you owe the government any money this tax season? If so, how did/do you plan to pay for it? Did you get a refund? If so, what’d you do with it? Hope everyone had a great weekend and a great start to the week! I’ve officially paid off more on my student loans than I owe! I can’t describe just how good that feels (but I can try- amazing!) but I still have a lot of work to do…approximately $55,000 of work. So…I don’t really feel much need to celebrate anything, just take a nice long look at how far I’ve come, then put my nose back to the grindstone. Since last week, I’ve been doing some thinking about what I’m going to do after all my (non-mortgage) debt is gone. I know my number one goal is going to save up 1 years worth of expenses. 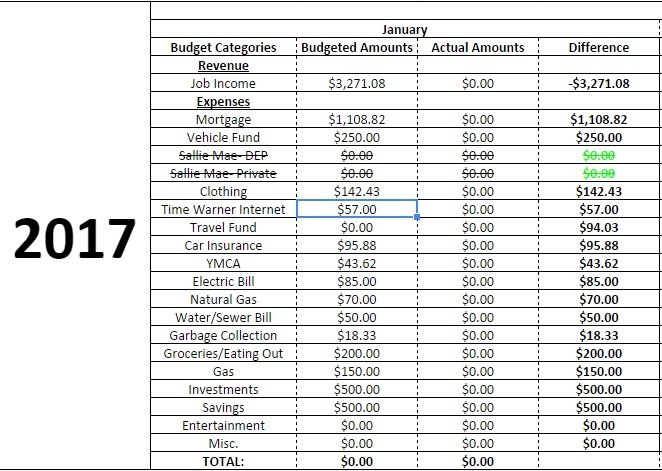 Basing the 1 year on my current expenses, less the student loans, since I’ve lived my entire adult life on a bare bones budget, I have annual expenses around $15,000. If I throw all the money that I put onto my debt into a savings account, it should take me between 5 and 6 months to do this. I also know that after I save this money I want to catch up my retirement that I missed on this past year, which will go to a Roth IRA- roughly $5,000. Since I haven’t done any spending in the past few years, I’d like to have budget lines for a future vehicle and/or repairs for my current car (which is already at 86K miles), clothing, and some travel. HOWEVER, I also want to pay 2 mortgage payments monthly and continue to save. One of my biggest inspirations to really start hammering the debt was/is Mr. Money Mustache, so I’d really like to continue living a fairly frugal lifestyle while continuing to save as much as possible. 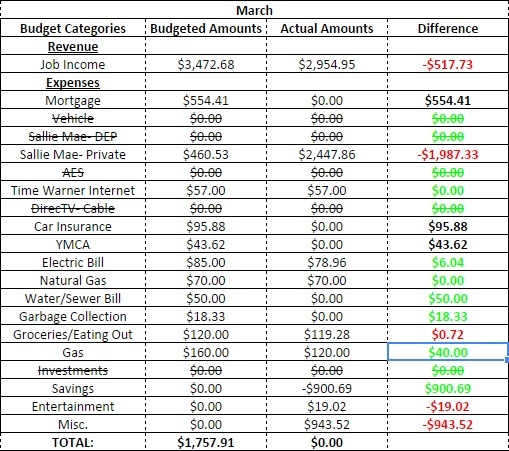 Well- I can’t have it all, so I think this budget is a good balance between spending and saving. And the good news is this is all based on my current pay, which, hopefully, I should be making more in a couple years. I also based my income on the fact I’d like to contribute 5% to our company’s 401K plan to get the most match as I can. 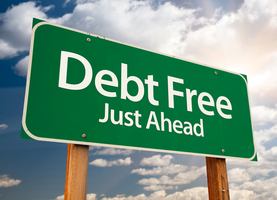 I’d like to hear from people in comments on what you did after you paid off debt- were you to worn out from the payoff that you went into spending mode, or did you continue the lifestyle? There’s couple of big items that came up this month (which weren’t all that unexpected): 1) I had a crown put in at the dentist a couple weeks ago. I have insurance, but I owe %50 out of pocket for this type of work. The cost- $397.50. 2) I filed and paid my local taxes. I knew when I withdrew my government retirement account (back in September) I would owe state and local taxes on it when I filed in the new year so I knew this was coming. I paid $700 to PA last month and $310 to the city of Erie over the weekend. 3) I had to take our one dog to vet a couple of weekends ago to have them look at an ear infection and to get her vaccinations. The costs- $132.02, but me and my GF have a plan set up- if it’s “her” dog (the white one, Harlow) that she brought to the relationship, the GF will take care of the vet bills and vice versa for my dog (Bubba, the black one). Since I took Harlow in while my GF worked, she wrote me a check for the visit that I just deposited yesterday and, thus, isn’t reflected in my budget, yet. 4) I had to put down a $100 deposit for the B&B I’m taking my GF to in April to make up for my V-day gift to her (the poorly timed concert tickets :/). I didn’t expect this since I didn’t remember putting a deposit down the last time I booked a room. O well, it just means I’ll pay less when we check out. I also spent more in the groceries/eating out category than I normally do. I had to go into work for a couple of weekends this month, so I bought breakfast for myself on the way to make it easier to go in. I also had a surprise visit from one of my best friends (who lives in North Carolina) over this weekend. Didn’t spend to much, but I treated him to lunch at Moe’s while he was passing through town. It only cost $25 and he has paid for me more times than I can count in the past, so I owed it to him. I have future plans to fill it back up, but I’m not going to do anything at the moment, just continue staying the course for now.